Thaddeus Tjarks, better known by his stage and channel name Taddl or the pseudonym TJ_beastboy, is a German rapper, singer-songwriter, YouTube star and internet personality born on September 1, 1994. Taddl joined YouTube in 2009 at the age or 15, under the channel name MeatcakeTV. At the beginning of his career, he was known for silly animations and his frequent collaborations with the comedy team Applewar, one of the most well known German YouTube channels back then. This is where he met Ardy, who was a member of the group at that time, and who would become Taddls closest friend and most frequent collaborator in both YouTube and music. Taddl had his ultimate breakthrough with his web series "What the Fact!? ", where he would present interesting but useless facts in a comic fashion - sometimes on his own, sometimes along with Ardy. Soon, the channel MeatcakeTV would be renamed Taddl. 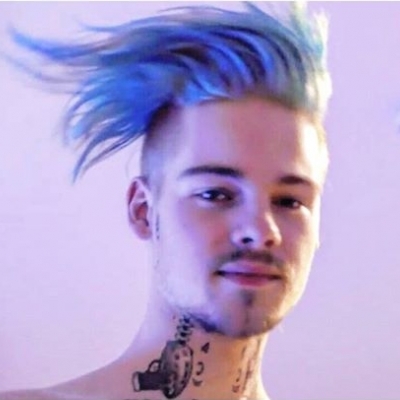 When Taddl started his own gaming channel LetsTaddl, it would quickly surpass his main channel in subscribers and views, becoming one of Germany’s most well known YouTube channels. He also had a joint-channel with Ardy called Brudis. Despite his huge success, Taddl (as well as Ardy) deleted all of his YouTube videos in 2015 before starting a musical career with his alternative hip-hop/electronica group Dat Adam, not wanting his music to be associated with his past as an Internet personality due to very different target groups. He also felt the videos did not authentically reflect his personality anymore. The decision was widely criticized by fans and fellow YouTubers alike, but was complemented by music critics for adding credibility to the band. The other members of Dat Adam are Ardy (both him and Taddl provide vocals) and producer Marley. So far, all of Dat Adam’s releases were commercial and critical successes. Taddl also released a solo EP called "Motus" which has a more conventional hip hop style in 2014 when he was still a YouTuber, it however had only little success. In 2017, he started a side project with Dat Adam's Marley, called TJ_beastboy and Mary Man. In late 2016 Taddl began infrequently uploading videos again and created a new channel in 2017 where he uploads new Let's Plays. He however stated that YouTube is not more than a hobby for him anymore. So far, he has not planned to re-upload his old content. Taddl was one of the German YouTubers who were a main character in the web series/movie parody “#TubeClash”, an animated project about 10 famous YouTubers having to fight in a Hunger Games-style way. His character also had a key role in is two sequels, "#TubeClash02" and "#FinalClash". In the first movie, Taddl was depicted as an ever-happy, light-hearted character and best friend of fellow clasher Manu. This personality of his fictional counterpart reflected the characteristics of his videos back then. In the sequels, this character traits however changed, he became a more philosophical, calm and emotional character who ultimately left the world the saga is set in because he didn't feel home in it anymore, which resulted in the events of "#TubeClash02", which is the only part of the trilogy where he only appears in a flashback scene, as well as in a change of tone for the saga towards a darker, more serious fantasy series.